Once upon a time — just a few years ago, to be more exact — a company’s blog (assuming they even had one) had nothing to do with the service department. Sales was largely ignorant of what customers were saying in forums and on social media. Managers had no choice but to rely on metrics that were vague, incomplete, or totally irrelevant. Then Salesforce introduced Service Cloud. It brought all of this together in a single customer service platform, and it not only streamlines existing elements of your business but, when used to maximum effect, allows you to connect more broadly and deeply with customers. 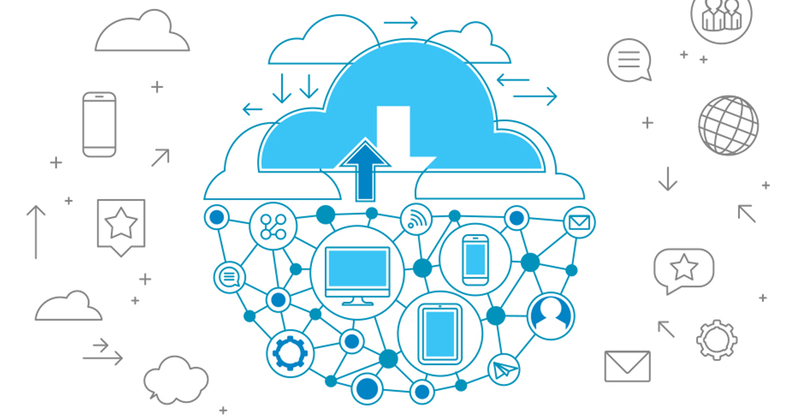 With Service Cloud, your company can make an impact that would have been unimaginable in the pre-Cloud world. Here are a few best practices to get the most out of Service Cloud. Integration is the cloud’s greatest strength. The same features, such as knowledge bases, FAQs pages, and forums, that save customers time also relay important data back to your service and sales teams in your customer relationship management (CRM) platform. Companies need cloud-based customer service software, especially one that integrates with their CRM and other platforms, to be competitive. But that’s just the beginning. The one-touch feature built into products allows customers to instantly trigger a case from the product itself. This is the future of customer service: As shared during the Dreamforce 2015 Salesforce Service Cloud Keynote, by 2020 it’s estimated that the average consumer will own 58 connected products. It’s been said that Twitter is the water cooler of the 21st century. For businesses, it’s also the suggestion box. Unlike the suggestion box, however, complaints on Twitter are on display for the world to see. While that may sound intimidating or even unfair, Twitter can be viewed as an opportunity to address a customer’s pain point publicly and personally. The Service Cloud has social integration that can create cases based on social media posts and connect public complaints with powerful service solutions in real time. Listen to and analyze conversations on social media with Social Studio, and use it proactively to find customers who are asking questions. Take common questions and concerns and create articles for your blog, on your website, and within the knowledge base of Service Cloud. By being proactive, you further reduce average case time and case volume. The Service Cloud platform empowers your agents to be the most comprehensive source of information and resources about your company. With the Lightning Console, agents maximize their time, your company can provide a great customer experience, and your agents have the most powerful tool available: an integrated customer service platform. Service is a key component of overall customer satisfaction. Studies have shown that customers who use Service Cloud report 45 per cent higher customer satisfaction. The reason for this is simple: It makes problem solving easier for customers. And easy service is quickly becoming an expected part of the customer’s experience. Your customers are more demanding than ever, and rightfully so. They expect a service experience that does everything they need, and meets them wherever they are, on any device, and at any time they need your help. Service Cloud is fast enough to stay one step ahead of this frustration, and offers Live Agent to service your customers more quickly. Use the details of the Service Cloud to generate action on a new level. Take advantage of its powerful integration capabilities and task streamlining to affect change in your industry, your community, or even the world — all while creating an exceptional customer experience. At the Salesforce Service Cloud keynote at Dreamforce 2015, the audience was told the story of how Service Cloud helped a San Francisco no-kill animal shelter make a much bigger difference than they set out to achieve. With help from Service Cloud, this shelter connected veterinary hospitals, animal control, and education services to address a larger problem in the city. Their mission changed: It expanded from trying to be the best no-kill shelter in San Francisco to working to end animal abandonment in the San Francisco by 2020. Service Cloud puts a great set of tools and data at your fingertips in industry-leading customer service management software. Its greatest strength, however, is the way these tools deeply and seamlessly integrate to allow you to focus on the big picture.